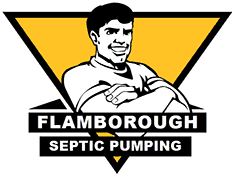 Flamborough Septic has been serving the Dundas area with professional septic tank pumping, maintenance and inspection services. With over five decades of hands on experience in the septic pumping business, we can cater to both residential and commercial customers. If you currently live in a small community where waste water treatment is a concern, a septic tank system would be an ideal solution. We’ll first have a look at your place of residence and give you the proper advice and service needed to ensure that your septic tank is performing properly. We understand how important it is for you to keep your septic tank clean and well maintained – one of the reasons why we offer septic tank pumping in Dundas. We also provide quick emergency service around the clock – just give us a call anytime! For all your septic tank pumping, inspections and maintenance needs in Dundas, call Flamborough Septic at 905-689-0333.